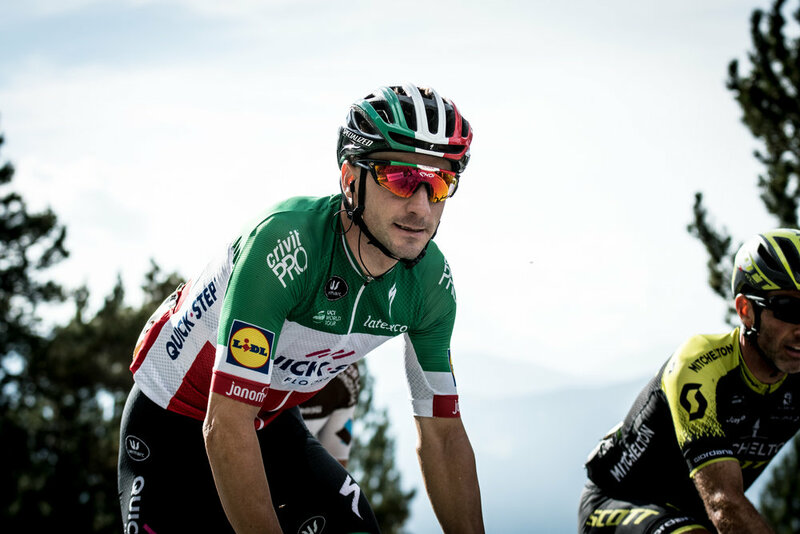 So Viviani isn’t a one year wonder then… Like many, we here at SSS commended the Italian Champ on his 7 Grand Tour stage wins, and 12 other victories. But some doubt lingered, just as it would for any sprinter that didn’t go to the Tour and win there. Giro and Vuelta wins are good, but you’ve gotta do it at the big dance too. With a clear run at Le Tour in 2019 though, Viviani’s showing his form is as good as last year’s, if not better. His stage win in Stage 1 of the TDU was close to perfection; his legs were miles better than anybody else’s, and the only thing that had the potential to stop him were the barriers (they didn’t, as he used every single inch of space available and then burst away from the pack). For a man who is used to the services of the best lead-out in cycling, he’s pretty good when he has to do it himself. At the Cadel Evans Classic, last year’s second place became this year’s first place. The sprinters were allowed to have their day out, and if the Wolfpack are stocking a fully loaded gun (they were), then there’s only one man who’s going to cross the line first. For a few years now, the man hailing from NZ, Paddy Bevin has been on the cusp of something big. The TDU should have been that “something big”, had his race not been cruelled by an unfortunate crash. He still left the race with his head held high and reputation strong though, as there was little doubt that he would have won the race otherwise. Strong performances on the Uraidla and Corkscrew stages showed just how talented he is, and with CCC looking for leaders this season, there’s no reason he can’t spearhead the charge at a few events. It was a pretty good month for Caleb Ewan, with wins in the Down Under Classic and two of the three Bay Crits. Hence, it’s pretty stiff to chuck him in this category. But he would have swapped all that success for a win at Buningyong in the Road Nationals, Cadel’s Race or the TDU proper. The Road Nats have to be raced conservatively for him to have a chance, and it was the furthest thing from that. At the TDU he was unlucky; his good form wasn’t rewarded, and there was a controversial relegation on stage 5. At Cadel’s he was good, but Viviani was rampaging. It was a good month, but the big boxes were left unchecked. “It’s a big step up to the Pros, a junior can’t be ready for it”, “He needs to get used to cycling in the amateurs”, “Even just spend one year in the u23s to get used to it”. Nah, you were all wrong, Cycling’s next wonderboy is going to be just fine with the big boys. Having dominated the Juniors last year (just have a geez at his results here for proof https://www.procyclingstats.com/rider/remco-evenepoel), all eyes were on the Belgian as he transitioned into the top level of the sport. The first half of the Vuelta a San Juan won’t define his season, but it’s a pretty good indicator that he’s going to be fine. He’s been impressive in his ability to contribute to Deceuninck-QuickStep’s team goals, setting up Julian Alaphilippe’s Stage 2 win, and then even came third in the Stage 3 ITT. That’s right, 18-year-old Remco Evenepoel came third in a pro-level Individual Time Trial. Belgian cycling has its new prince.